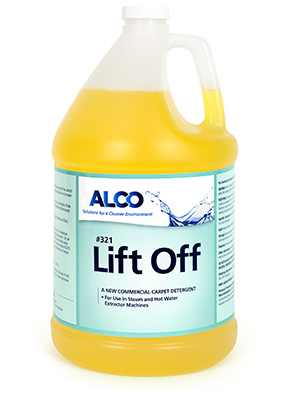 Alco Lift Off - Alco-Chem, Inc.
For high performance extraction of commercial, and institutional carpeting. Quickly penetrates all heavy soil including grease, dirt, oil and stains. Contains optical brighteners for enhanced appearance and deeper tones.